Thanks to the Transparency and Accountability Initiative’s mentorship program, I was able to spend a week in Bratislava, being a mentor to Fair Play Alliance. The goal of the mentorship is to help Fair Play Alliance become more agile and flexible in its ability to manage projects and identify how they can more effectively connect with stakeholders through their data projects. 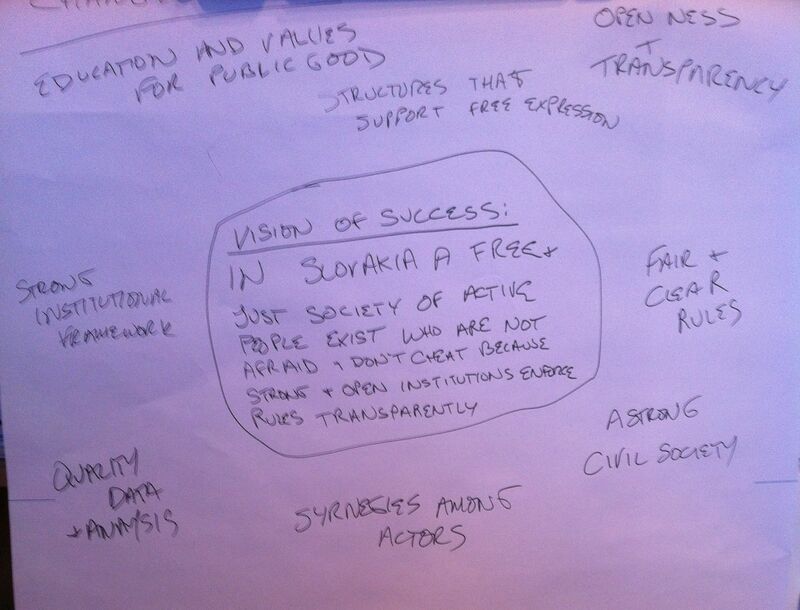 Over the last decade, FairPlay Alliance has worked hard to get the Slovakian government to be more transparent and open-up data about the use of public funds. Their hallmark data project, DataNest, was developed so that investigative journalists wouldn’t have to go through the hassle of making a Freedom of Information Act (FOIA) request for every single piece of information they wished to obtain. One problem they have had to grapple with is that the Slovakian government will release the data in huge chunks or in formats that make it a challenge for people to pull out the data they are looking for. So Fair Play has taken on several projects that works at mining the data and re-publishing it in useable formats. Their tactics with cleaning up the data often pays off, such as their Open Contracts project, as the government is now replicating the functionality of the site on its own pages and with the DataNest – which was developed so that investigative journalists wouldn’t have to go through the hassle of making a Freedom of Information Act (FOIA) request for every single piece of data they wished to obtain. In project planning, remember Donald Rumsfield (but only then). When creating a data project plan, leave ample breathing room for your known unknowns and your unknown unknowns. Always build in extra time and extra budget at the beginning (depending on the complexity of your project plan). Open Data and Crowd-sourced data can work together. Along with publicly released data from the government, crowd-sourced data can have similar impact, particularly when you are looking to establish things like personal connections between public figures. Along with being truly inspired by Fair Play Alliances dedicated team and their working dynamic, I also got a chance to enjoy Bratislava. Thankfully the Danube stayed at bay thanks to the flood defences. I can’t say enough about the giant dumpling I ate that was stuffed with blueberries and topped with poppy seeds. 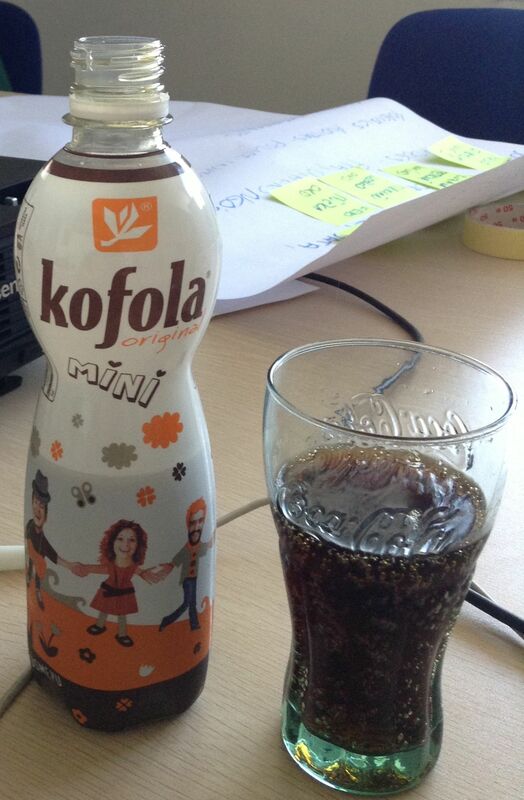 Also the local soft drink Kofola, who knew? It’s better than Coke!